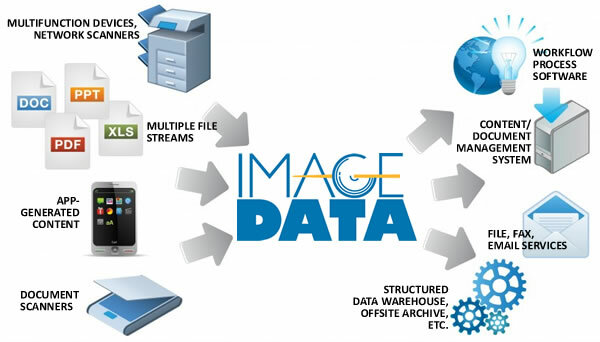 Image Data integrates and organizes different data formats, including computer reports, electronic documents and paper-based records, into a single repository with a common index. You can provide open or secured access to the data for everyone in your own business or partner relationships through flexible repository access options. All data are preserved in their original file formats, and the repositories are designed with open programmatic access, making Image Data an ideal choice for records management/archival. A wide variety of search parameters help the user find the exact object instantly and view it via the native program, preserving all original formatting. Reduce costs of handling, storing and copying paper documents.